An article written by Rudolf Smit in a 2011 edition of the Journal of Near-Death Studies recently caught my eye (Smit 2011). It has the catching title, "Almost Brainless - Yet Lucid and Intelligent: Implications for Understanding NDEs and Consciousness". The suggestive content of this article in combination with those of other articles exclusively discussing the phenomenon of terminal lucidity (TL) by Nahm (2009), and by Nahm & Greyson (2009), is such that many people unschooled in medical reasoning find the suggestive conclusion to be proven by accepted medical fact. However, the incautious and almost triumphantly incorrect conclusion in the article by Rudolf Smit is such that a reply outside the slow processes of the Journal of Near-Death Studies is required. So what was this conclusion? The above case "anecdotes" of terminal lucidity, which can hardly be denied, as well as the fact that some virtually brainless people can be highly intelligent and social, lead to an almost unavoidable conclusion: that consciousness is not a product of the brain. Rather, consciousness will make use of the brain, or won't even use a brain in case of the brain's virtual absence, but will then express itself through other - as yet unexplained - pathways. But why is this claim incorrect? During any discussion of the relationship between mind and brain with persons believing in dualism, or the extracorporeal nature of the human mind, someone almost inevitably comes up with the statement that: "Intelligence is not a property of the brain, because some super-intelligent university students have been found with only a thin shell of brain in a head otherwise filled with only water�" Many will refer to the website of a New Zealander who refers to articles discussing this topic (Flatrock Website). The more well-read persons will proceed to cite an articles by Lewin (1980), or by Eugene Berger (Berger 1983) in which a neurologist called John Lorber remarked upon one of his study persons. This was a spectacular case. Yet there are other similar persons with minimal amounts of brain tissue who function well within society and even go to college or university. CT-scans of two such persons reveal a spectacular absence of all but a relatively thin shell of brain tissue, the rest of the skull being filled with cerebrospinal fluid (for the images click on the links to these articles below: Feuillet 2007, Woods 2007). These are typical cases of hydrocephalus (water on the brain) which was present from birth. The fact such persons could hold normal jobs, function in society, and even go to university did not correspond with the world-view of Berger (1983), nor does it correspond with the world-view of many other people. Some people even regard these, and similar cases as positive proof of the reality of the mind-model of dualism, because here are examples of persons with normal mental function despite possessing almost no brain (Smit 2011). Yet both Berger (1983) and Smit (2011), as well as other believers in the mind-model of dualism display a curious blind spot in their thinking, as well as ignoring a number of very relevant and proven medical facts. At this time, one of the popular proponents of the mind-model of dualism is a certain Chris Carter. 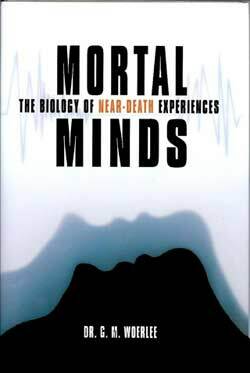 As Chris Carter quite correctly points out in his book Science and the Near-Death Experience (Carter 2010), the evidence presented for the mind-models of dualism and materialism adequately explains the physical experimental results and subjective experiences currently presented for both these belief systems. Carter quoted the psychologist Cyril Burt in this regard. Carter proceeds throughout his book to wholeheartedly agree with the ideas expressed by this quotation (in chapters 1,2 and 3 of Carter 2010). The same ideas are propounded in other books discussing near-death experiences and their relation to theories of mind,e.g. see page 228 in Holden (2009), pages 307 and onwards in Lommel (2010), pages 603-609 in Kelly (2007). So how do Berger (1983), and Smit (2011) fare in respect to this quotation and the mind-model of dualism? The logic of dualism regards the human body much as we regard the relationship between an automobile and its driver. The driver exercises control over the automobile through the mechanisms of the automobile: the steering mechanisms, brake mechanisms, accelerator mechanisms, gear train and transmission. So if the steering mechanisms fail, the driver cannot steer the automobile: if the brake mechanisms fail, the driver cannot stop the automobile: if something happens to the gear train and transmission fail, the car does not move at all. Likewise, more than one hundred years of neurological studies and experience teach that the mind can only express itself on this world through the mechanisms of the physical body. And the control mechanisms needed for the mind to manifest speech, personality, emotions, movements, actions, and deeds by the physical body reside in the physical brain. This is fact proven by more than a century of medical studies, and by looking around us at the world in which we live. Diseases, injury, or damage to parts of the brain or body cause effects known to us all. We know the physically conscious minds of people totally paralyzed with curare or the locked-in syndrome cannot speak, move, perform actions and behaviors, or deeds, even though the mechanisms of their brains are intact. We know physically conscious people suffering from the consequences of a stroke cannot move the paralyzed parts of their bodies, even though they still possess considerable amounts of brain tissue. We know physically conscious persons suffering from a stroke affecting Broca's area cannot speak, even when they try to do so. Yet these people also possess normal intelligence and mentation. Persons with damage to the hippocampus on both sides of their brain cannot form long-term memories. Persons undergoing the old operation of prefrontal lobotomy undergo dramatic personality changes. Persons with absent circulation of blood through their brains are not physically conscious - they are dead. All these things clearly demonstrate that the mechanisms of the brain are required to express personality, emotion, speech, behaviors, actions, and deeds through the mechanisms of the physical body. In fact to claim that intelligent hydrocephalics prove the extracorporeal nature of the mind is to contradict all that modern guru's of dualism claim in chapters 1,2 and 3 of Carter (2010), page 228 in Holden (2009), pages 307 and onwards in Lommel (2010), pages 603-609 in Kelly (2007). Persons with congenital hydrocephalus are not known to have any special celestial dispensation exempting them from this requirement. Accordingly, the argument that the brain is superfluous to the expression of the properties of the mind by the physical body is patently foolish. So how is it possible for people with born with hydrocephalus (congenital hydrocephalus) to function normally? The Lober (1980) reference referred to another article with the title, "Is your brain really necessary? ", written by Lewin (1980) in which the studies of Lorber were discussed, and commented upon by another group who performed studies of hydrocephalus. The juvenile human brain has considerable reserve capacity. Provided sufficient functional nervous tissue is spared by the condition causing the hydrocephalus, as well as being spared by the effects of the hydrocephalus, the brains of surviving children born with hydrocephalus adapt over many months and years by shifting functions to other regions of adequately functioning brain tissue, and compensating for the absence of other functions by enhancing compensatory functions. Subsequent neurological studies have repeatedly confirmed these proposals - proposals which are entirely in accordance with the logic of the mind-model of dualism as well as of materialism. But such a degree of adaptation to loss of brain tissue does not occur in adults. This is why when brain tissue is destroyed in adults, those functions controlled by the destroyed brain tissue are usually lost forever. Terminal Lucidity is a rare phenomenon sometimes reported as occurring in deeply demented or quite mad persons. Shortly before death some of these person become quite rational, whereas before they were either so insane, or so demented that there was no question of any normal brain function. In fact, the brains of some of these persons when examined after death were found to be abnormal and diseased as in this example cited by Nahm (2009). There are many other similar accounts. Nahm, Greyson, and Smit were unable to explain this phenomenon in their articles. Smit (2011) even considered this phenomenon as definitive proof of the extracorporeal nature of the human mind. Nonetheless the same considerations apply as for hydrocephalus: the mechanisms of the brain are required to express personality, emotion, speech, behaviors, actions, and deeds through the mechanisms of the physical body. Furthermore, just as in the situation of hydrocephalus, demented and brain damaged persons are also not known to have any special celestial dispensation exempting them from this requirement. Rudolf Smit (2011) claims that intelligence in persons with congenital hydrocephaly and Terminal Lucidity are proof of the extracorporeal nature of the mind. But basic medical fact, and the logic of the mind-model of dualism reveals this claim to be ingenuous and totally unfounded, as well as to directly contradict some of the basic tenets of the dualistic mind-model as proposed by himself, Carter (2010), Holden (2009), Lommel (2010), and Kelly (2007). Smit, Nahm, and Greyson combine this faulty logic with "cherry picking" of medical facts to the exclusion of others, while almost totally ignoring neurological reality. This is the only conclusion that can be drawn from the articles of Nahm (2009), Nahm & Greyson (2009), Smit (2011), as well as websites (Flatrock website), claiming Terminal Lucidity and intelligent hydrocephalics to be proof of the extracorporeal nature of the mind. Berger EY, (1983), Introductory remarks. Bulletin of the New York Academy of Medicine, 59: 259-261. Carter C, (2010), Science and the near-death experience. published by Inner Traditions, Rochester, Vermont, USA. Feuillet L, et al, (2007), Brain of a white-collar worker. Lancet, 370: 262. Flatrock website - "Is the Brain Really Necessary"
Holden JM, Greyson B, and James D, (Eds.) (2009), The Handbook of Near-Death Experiences: Thirty Years of Investigation. Published by Praeger/ABC-CLIO, Santa Barbara, California, USA, ISBN 978-0-313-35864-7. Kelly EF, et al, (2007), Irreducible Mind. Toward a Psychology for the 21st Century. Published by Rowman & Littlefield Publishers Inc., USA, ISBN 978-1-4422-0206-1. Lewin R, (1980), Is your brain really necessary? Science, 210: 1232-1234. Lommel P van, (2010), Consciousness Beyond Life: The Science of the Near-Death Experience. 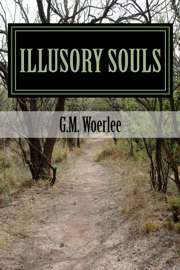 Published by HarperCollins, USA, ISBN 9780061777257. Nahm M, (2009), Terminal Lucidity in People with Mental Illness and Other Mental Disability: An Overview and Implications for Possible Explanatory Models. Journal of Near-Death Experiences, 28: 87-106. Nahm M & Greyson B, (2009), Terminal Lucidity in Patients With Chronic Schizophrenia and Dementia: A Survey of the Literature. Journal of Nervous and Mental Disease, 197: 942-944. Smit R, (2011), Almost Brainless - Yet Lucid and Intelligent: Implications for Understanding NDEs and Consciousness. Journal of Near-Death Studies, 29: 482-487. Woods DL, et al., (1987), Sensory and cognitive evoked potentials in a case of congenital hydrocephalus. Electroencephalographv and Clinical Neurophysiology ,68: 202-208.